Pallet wrappers are an essential for use in businesses that work with palletised goods. Specifically designed for wrapping cardboard boxes quickly and efficiently to keep them protected and to prevent them from falling from the pallet. 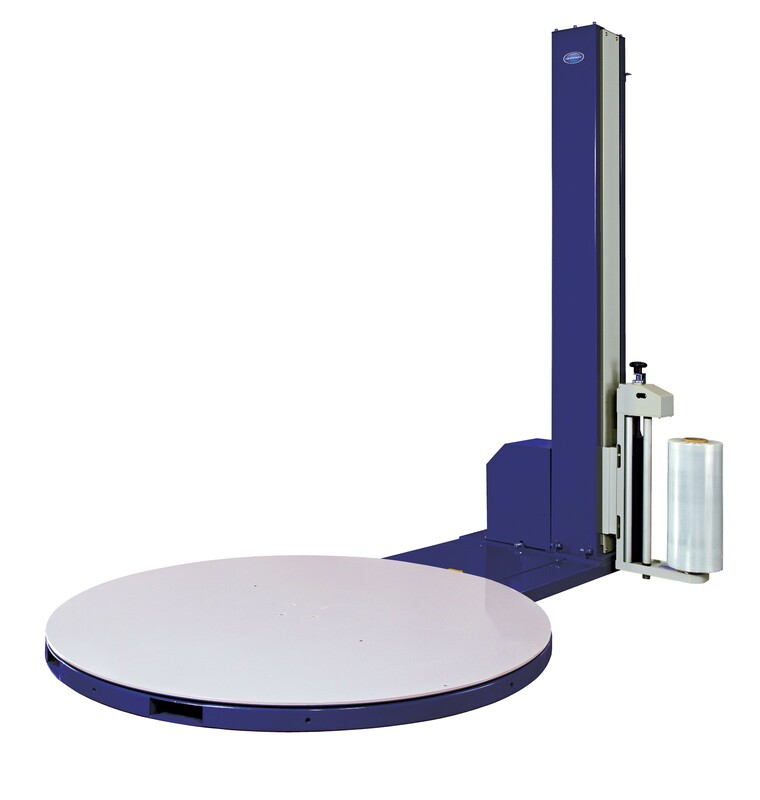 The pallet wrapper features a turntable, a pallet height photo sensor for the accurate wrapping of products and a magnetic break ensures that the turntable remains still whilst loading and unloading it. 1650mm turntable with 2000mm wrapping height.